VIVA 2015 was inaugurated this morning at the Heritage Malta Outlet, Melita Street by the Minister for Justice, Culture and Local Government Hon. Dr Owen Bonnici and VIVA Artistic Director Dr. Raphael Vella. Valletta 2018 Chairman Jason Micallef, Spazzju Kreattiv Chairman Rupert Cefai, Arts Council Malta Chairman Albert Marshall and Aġenzija Żgħażagħ CEO Miriam Theuma were also present. The 2015 edition of the Valletta International Visual Arts (VIVA) Festival was this morning inaugurated by the Minister for Justice, Culture and Local Government Hon. Dr Owen Bonnici and VIVA Artistic Director Dr. Raphael Vella. The launch, at which Valletta 2018 Chairman Jason Micallef was present, was held at one of the exhibitions, Beltin by Zvezdan Reljic, an exhibition about people connected to and from Valletta. 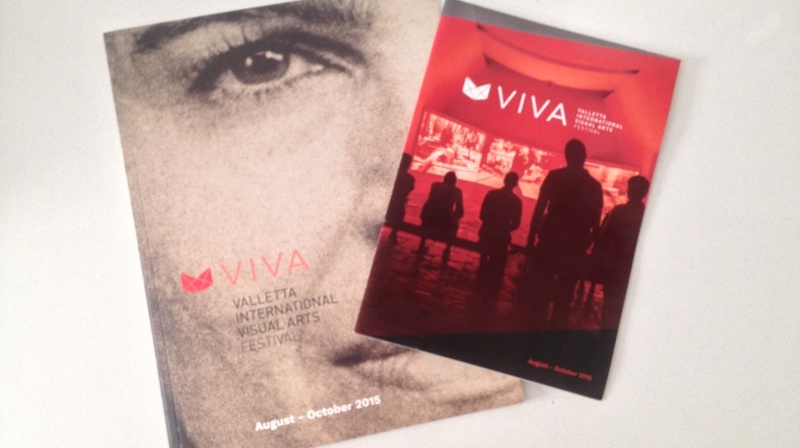 VIVA will open for the public on the 31st August, with some exhibitions open until the 6th November. Dr. Raphael Vella added that “This year, VIVA is more comprehensive and more inclusive. We have a stronger emphasis on communities in Valletta, with films in residential buildings and exhibitions that come to terms with the realities of people’s everyday lives. We also have a more expansive educational and outreach programme, which involves people from different sectors more directly in the development of knowledge.” Dr. Vella also praised initiatives such as the Curatorial School, which is organised by the Valletta 2018 Foundation for VIVA. This year’s programme boasts a varied number of events. Exhibitions include the ‘Culture of Ageing’, a multi-faceted project which focuses on ageing, ‘Good walls make good neighbours’ which focuses on public and private spaces, and a collective video art exhibition about Palestine, amongst others. Divergent Thinkers, a collective made up of young local artists and which is part of the Empowerment Programme of Aġenzija Żgħażagħ, now in its fourth edition, will once again be incorporated within the VIVA programme, this time with the theme ‘Connect’. VIVA also includes art installations such as ‘Position of Opposition (Hands Down)’ by local artist Aaron Bezzina, as well as‘unLOCK’, an installation created by inmates at the Corradino Correctional Facility and coordinated by Pierre Mifsud. Events will be held at different locations around Valletta like Misraħ ir-Repubblika, St James Cavalier, Camarata Buildings, Melita Street and the Malta School of Art. The second edition of the Curatorial School, which will run at the University of Malta – Valletta Campus from the 31st August to the 4th September, features an array of international professionals from the curatorial-arts industry who will be delivering talks and workshops throughout the week. The lecture programme is aimed academic and students hailing from arts-related fields of study. VIVA is being co-organised by Fondazzjoni Kreattività, the Valletta 2018 Foundation, Arts Council Malta and Aġenzija Żgħażagħ. Further information can be found here.